Melbourne – Apartments in Melbourne. Maps of Melbourne, Photos and Reviews for each Apartment in Melbourne. 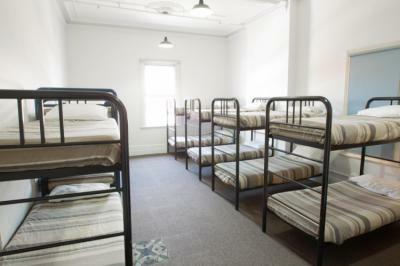 Looking for a hostel in Melbourne? Look no further, all the good deals in Melbourne are on Dorms.com. Like thousands of other people every month, book your hostel securely at the best price in all neighbourhoods of Melbourne. 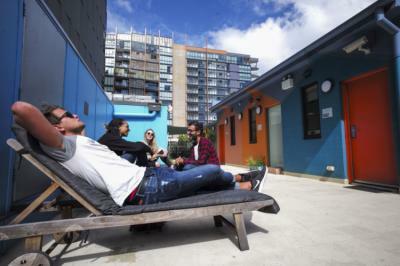 On this site, you can easily find a hostel downtown, in a trendy neighbourhood; a hostel in the student- university district, close to bus or train stations, airports or major attractions of Melbourne. We're a short walk from Southern Cross Train Station, meaning we're super close to Laneway Graffiti Street Art Cafes, Restaurants & Bars, Eureka Skydeck, 88 Federation Square and Melbourne Cricket Ground - so much to see! When it comes to the location of Melbourne Backpackers accommodation it's no secret ours is the best! Make United Backpackers your home and you will be staying directly opposite the iconic Flinders Street Station, 50m from famous landmark Federation Square and just a one minute walk to the beautiful Yarra River. You couldn't be more central! We also just happen to be located on the funkiest and most vibrant laneway in Melbourne, Degraves Street! Good location and very clean. Shower facilities are brilliant! It was clean, comfortable, easy access to tram lines and a short walk to Southbank. Staff were friendly and the showers were absolutely wonderful. I really like the new renovations done by Melbourne Central hostel. The downstairs entry has improved a lot. The hostel also has a great location of course. You save on a taxi fare from the airport by being across from the skybus and on tram fares by being within the free tram zone. I would add mirrors in the hall and more bathrooms, that's all, hostel is good)) thank you!! The location is top notch and gets u in the thick of Melbourne city with so much to do in the area! It was clean and the staff were very friendly and helpful! Only complaint would be no aircon, but I was there on the hottest days so I imagine anywhere would be sweaty and sticky with or without aircon. Nomads St Kilda Beach is located in the heart of St Kilda with just few minutes walk from the beach, restaurants and shops. Tram stop: 96, 16 & 3/3a just at our door step, making it easier for everyone to get to and from the CBD (southern cross). 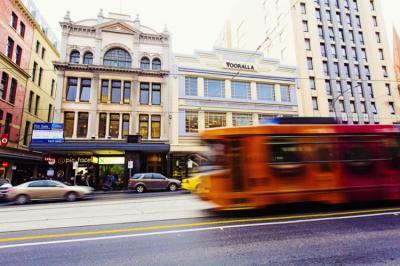 Located in a heritage building from the turn of the century, All Nations Backpackers sits in the heart of Melbourne minutes’ walk from Southern Cross Station and with easy access to all the sights of the city. the people and the atmosphere make it amazing. Kitchen could do with a revamp but other than that... the staff more than make up for it. Michael, Hannah, Riccardo and Dave were all more than helpful, literally out of their way to welcome and make you feel loved. The immediate feeling of being relaxed when I arrived. As a solo traveller it can be uneasy arriving alone but the friendly staff welcomed me. Especially Meg on reception. The sense of community is really strong and everyone is super friendly. There are renovations taking place which is ace as the bathroom has underfloor heating. People, very helpful staff, free pasta and rice! !